Holika Holika x Gudetama Lazy & Joy Collection Part 3 | Memorable Days : Beauty Blog - Korean Beauty, European, American Product Reviews. Hi All! 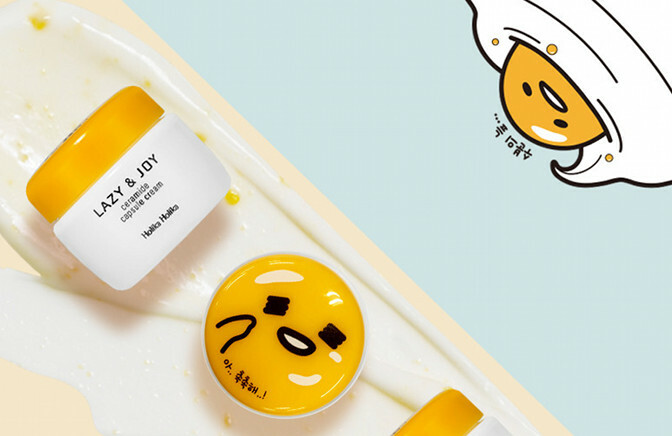 This is the last part of the Holika Holika x Gudetama Lazy & Joy Collection! If you have missed the previous 2 parts, go to part 1 and part 2 and check them out. In this last part, they released creams, dry shampoo and cleansers! Very curious about this one! note: these pictures are taken from the official holika holika website, see disclaimer.